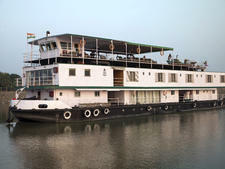 Launched in 2008, the Toum Tiou II is a 125-foot riverboat sailing the Mekong River in Cambodia and Vietnam. It can accommodate up to 28 passengers. 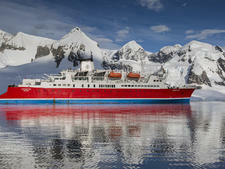 The boat has 14 cabins, six upper and eight lower. They are sold as twin rooms but all beds can be converted to doubles at passenger request. Cabins have large panoramic windows and a private bathroom with hair dryer. Other cabin features include an in-room safe, private climate controls and large closet space as well as under bed storage. There is free WiFi in all public areas but it is not always reliable. 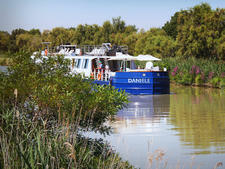 The ship also offers laundry service. On-ship amenities include a lounge with a large screen showing movies nightly, a stocked library and outdoor dining and lounge areas. 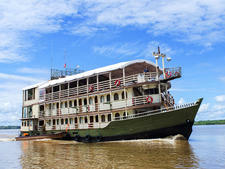 Toum Tiou II is part of an eight-day cruise on the Mekong River. It departs from Siem Reap, Cambodia, and ends in Ho Chi Min City, Vietnam. Most travelers come from Canada and the UK. The United States, Europe, Australia and New Zealand are also represented.